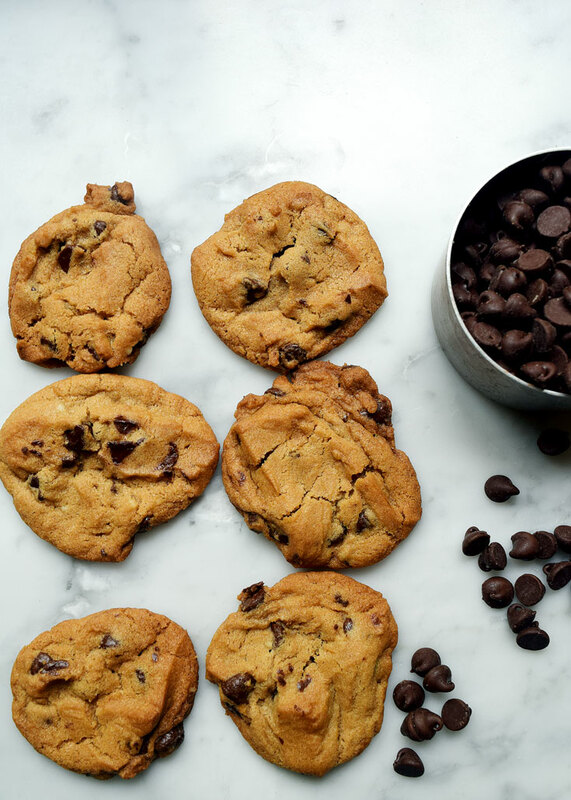 Egg-less chocolate chip cookies are decadent with just a bit of chew. These are just like your grandmother’s chocolate chip cookies only without eggs. 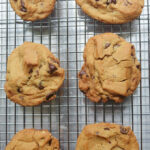 You need this egg-free chocolate chip cookie recipe in your arsenal/smartphone/computer/taped on your fridge because there will be times that you run out of eggs and don’t want to go to the store or there will be a snow storm or a sand storm and you couldn’t get to the store if you wanted to. I’m always looking for egg-free cookie recipes for potlucks and bake sales at the teenager’s school because one of the students has a serious egg allergy. Another favorite egg-less cookie dough is my recipe for butterballs. Powdery and rich, you’ll never no the egg is missing. 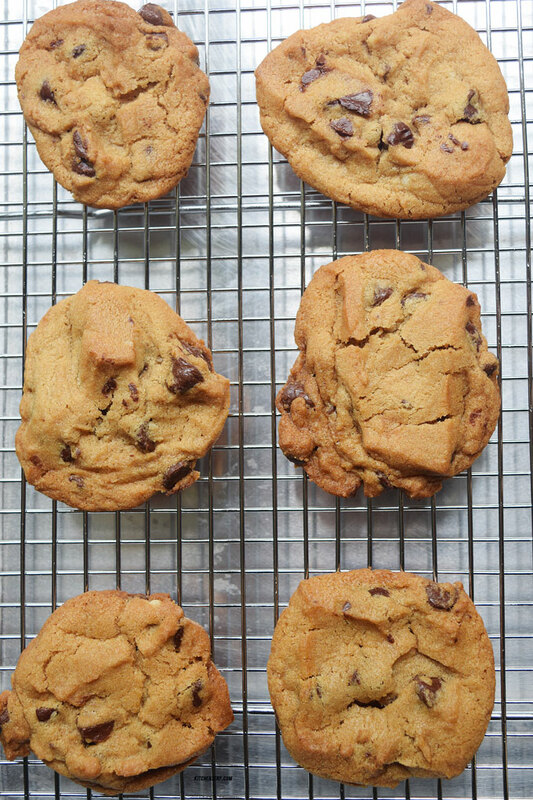 This particular cookie recipe is so good, my husband and son almost prefer it over my regular chocolate chip cookie recipe. Egg-free chocolate chip cookies are decadent with just a bit of chew. These are just like your grandmother's chocolate chip cookies only without eggs. Stir flour, baking soda and salt in a medium bowl. In the bowl of a stand mixer or a large bowl,, beat butter and brown sugar on medium speed until pale and fluffy,, about four minutes. Add flour mixture and mix on low speed until just combined. Chill dough overnight or for at least four hours. Scoop one-inch balls of cookie dough onto a parchment lined baking sheet.